Monthly weekends in Southend have just become a whole lot funnier! 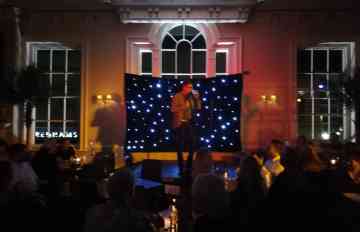 Our famously funny nights will be held at Southends premier restaurant and cocktail bar The Royal Hotel. Join us in the grand ballroom over looking the sea, and laugh the night away in style with top professional comedians. Southend maybe known for having the longest pier in the world, but now they are also known for hosting the funniest comedy shows in the world with The Official Comedy Club!